I say this as someone of German descent: Germans have a demented approach to things sometimes. But this? This is just the weirdest kind of hilarious I’ve seen all day. 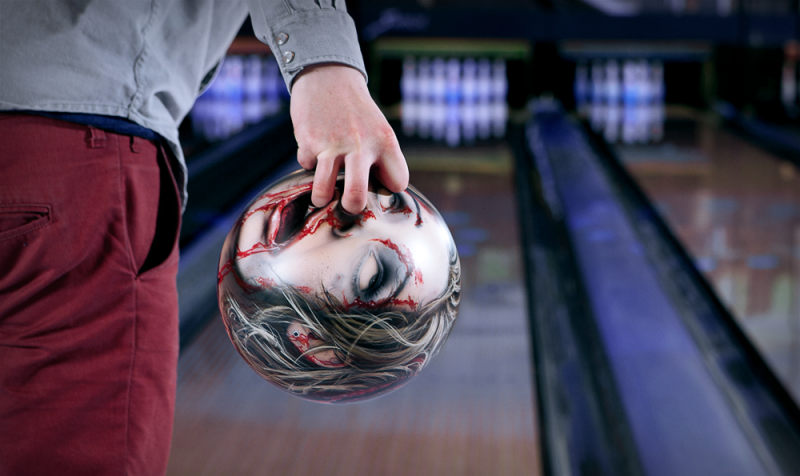 If you find the idea of sticking your fingers up a zombie’s nose in order to bowl with its head hilarious. Which I kind of do. But weirdness aside, what’s this all about? 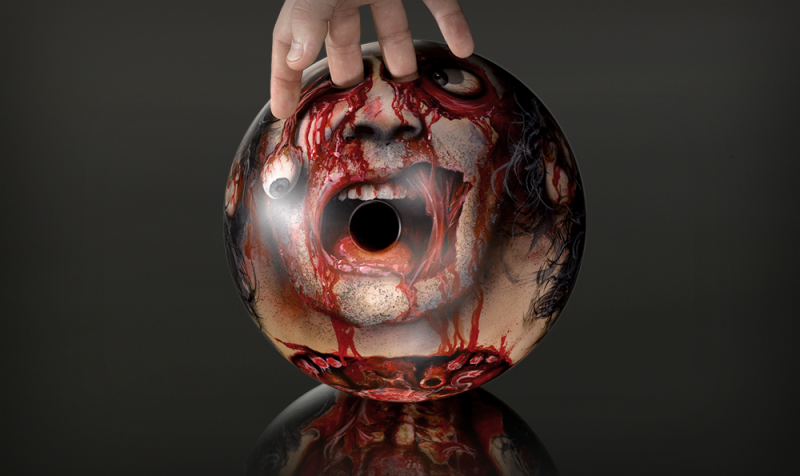 As it turns out, this is an advertising campaign to promote a new horror channel in Germany called 13th Street. Want to see more? 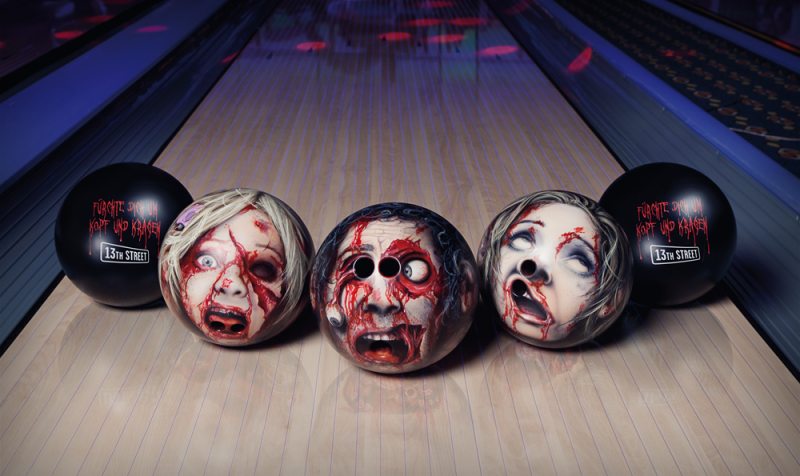 Better yet, want to see zombie heads rolling down the lane? Warning: This post contains depictions of neck guts. It’s gross. We’re just telling you ahead of time because we care about your delicate sensibilities. 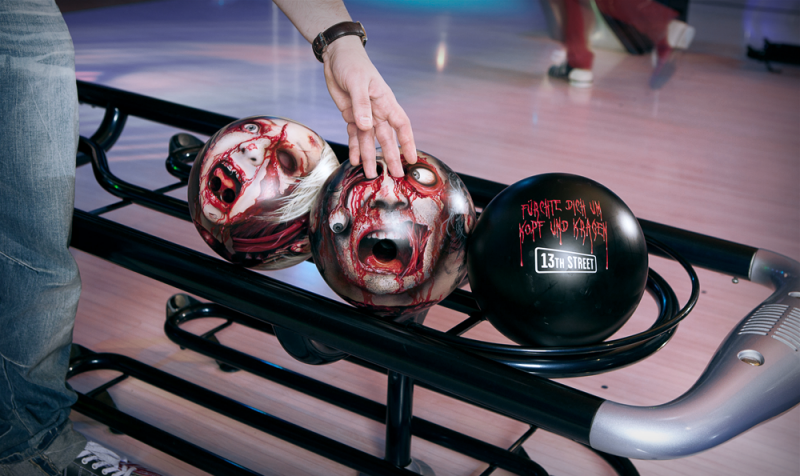 I don’t know about you, but if I’m going to be bowling with someone’s undead decapitated head, I’d better see some anatomically-accurate neck guts.